The 1st of the biannual plant forums for the year 2013 took place on the 9th of April and was hosted by the University of Pretoria (UP) at the new Plant Sciences Complex building. The ACGT teamed up with Dr Bridget Crampton from the host institution to form an organising committee for this forum. From the previous successful forums, it was noted that delegates wanted to have forums that were more focused, as plant biotechnology is a very broad field. The organising committee went through the suggestions that delegates from the previous forums had given, and decided on a theme for the 7th Plant Forum: “High throughput sequencing: Applications in plant sciences”. Dr Shane Murray from the University of Cape Town (and associated with the CPGR) was identified as the event’s keynote speaker. Dr Murray is the project scientist and plant genomics project manager for several projects, including some TIA-funded projects. At the forum Dr Murray presented an enlightening talk titled “ MicroRNA and transcriptome analysis of field-grown Vitis vinifera infected with GLRaV-3 and aster yellows phytoplasma”. Dr Murray was joined by three other speakers from the ACGT partner institutions who presented their work. The speakers, Ms Erika Viljoen (ARC); Mrs Bianca Reeksting (UP) and Ms Farhahna Schalk (Wits) all gave captivating talks which kept the 66 forum attendees intrigued. 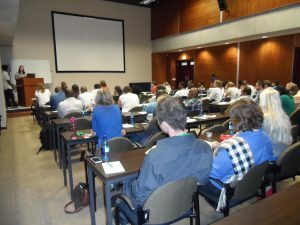 The attendees were from the five ACGT partner institutions (UP, Wits, CSIR, ARC and UJ) as well as surrounding institutions (UNISA and TIA) which makes the forum a truly regional event. The event also included an interactive poster session which saw young researchers as well as lead investigating professors present their research in a form of brief oral presentations. The success of the forum is drawn from the attendees’ responses regarding the talks as well as increased interest in collaboration and the use of high throughput sequencing applications in plant biology. It was very evident that the capacity in this exciting research area is rapidly expanding on the partnership. The forum was generously sponsored by Inqaba Biotec. The next forum will be held in October 2013 at the Council for Scientific and Industrial Research. Keep an eye on the ACGT events page for more information on the next plant forum. Dr Shane Murray (UCT) – MicroRNA and Transcriptome analysis of field-grown Vitis vinifera infected with GLRaV-3 and aster yellows phytoplasma. 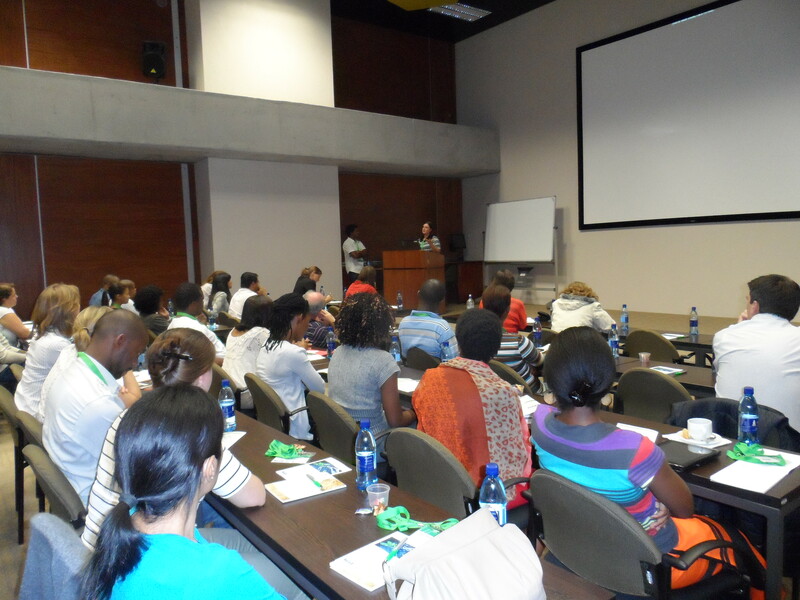 Ms Erika Viljoen (ARC) – Progress in sequencing Amaranthus tricolor and chloroplast genome phytogenetics. Mrs Bianca Reeksting (UP) – Sequencing avocado transcriptome. Ms Farhahna van Schalk (Wits) – Monitoring transcriptional changes in cassava infected with South African cassava mosaic virus –[South Africa:99] using next generation sequencing.